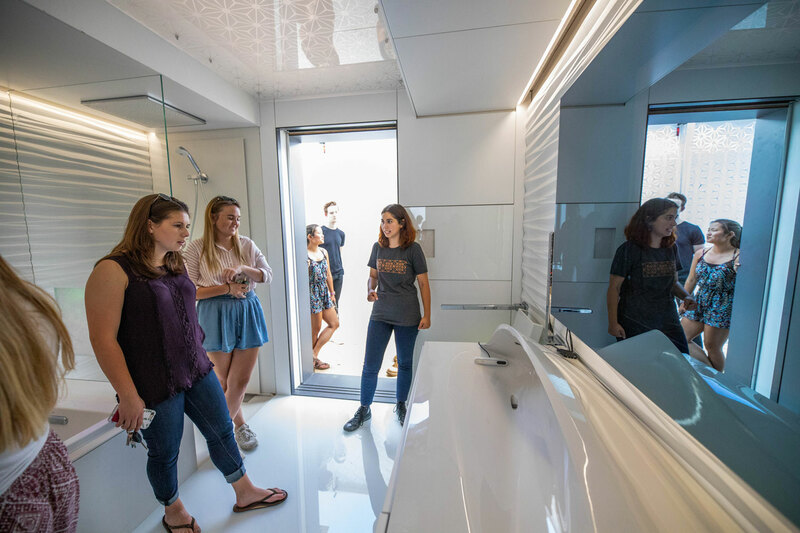 The home of the future is at its temporary residence in the desert — and the Virginia Tech students and faculty who built it are awaiting the results. 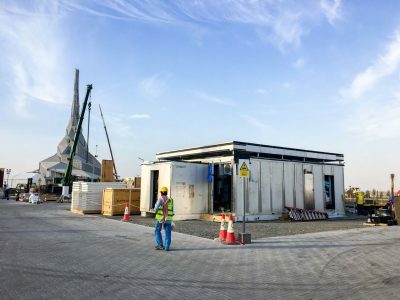 FutureHAUS Dubai, the innovative, interdisciplinary, and ambitious project to design and build a futuristic, modular smart home, is the lone American team currently competing against 14 other university teams at the Solar Decathlon Middle East, which is being held currently until Nov. 28. The international competition in Dubai, United Arab Emirates, was launched by the United States Department of Energy and the United Arab Emirates’ Dubai Electricity & Water Authority to accelerate research on building sustainable, grid-connected, solar homes that perform optimally in Dubai’s harsh desert climate — all in line with the city’s bid to have the world’s smallest carbon footprint by 2050. In mid-September, the home was shipped on a 30-day, 7,286-mile journey by boat across the Atlantic Ocean. Starting as early as mid-October, faculty and students who built the house — some of whom have graduated and are taking time off from their new jobs to attend — traveled in waves to Dubai in advance of the competition. 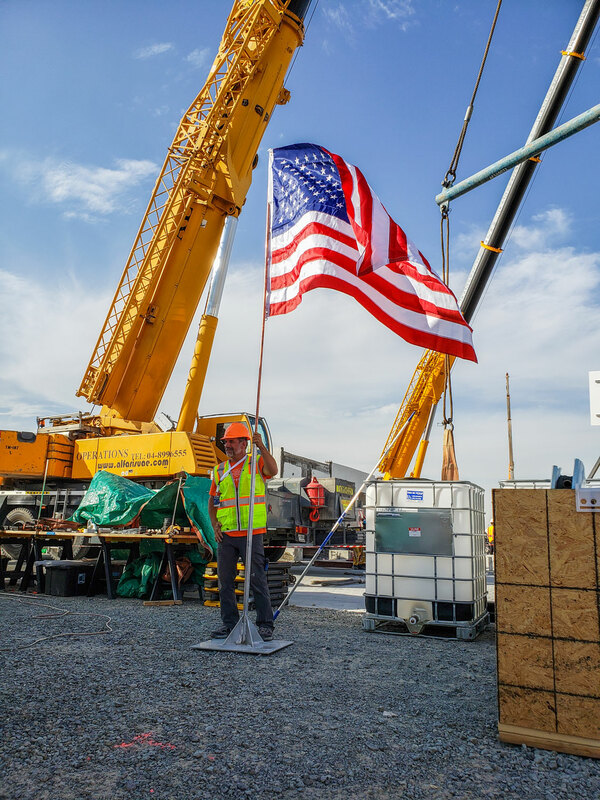 For two weeks prior to the competition start, the team reassembled the entire house at the competition site — a feat they’ve already done once in Blacksburg. But the work doesn’t stop once the house is assembled. When the competition began, the team went through two weeks of intense judging on 10 different contests, ranging from the innovation and efficiency of its architectural and engineering designs to how well it generates the energy required to execute everyday tasks, such as cooling, charging an electric car, doing laundry, maintaining a consistent refrigerator temperature, and cooking meals. All hands are on deck to tackle the massive challenge. Twenty students and four faculty from Virginia Tech’s College of Engineering and College of Architecture and Urban Studies have been on site in Dubai. For the past two-and-a-half years of FutureHAUS Dubai and eight total years of research, others from architecture and engineering in addition to students and faculty from the Myers-Lawson School of Construction, Pamplin College of Business, College of Liberal Arts and Human Sciences, College of Science, and various centers and labs across campus have assisted in the research and development, fundraising, communications, and assembly of the house. In addition, dozens of industry partners are using FutureHAUS Dubai as a test lab for new product innovation. The team has been working with the research and development departments at such companies as Kohler, DuPont, Linak, and Glass Dynamics to develop smart building technology. During its debut on the global stage, FutureHAUS Dubai will boast pioneering architectural concepts incorporated with sophisticated engineering, particularly in the area of power electronics. The house is made up of 18 prefabricated “cartridges,” which come loaded with smart technology. This streamlined, modular building process is a hybrid of other home manufacturing methods: It blends the idea behind prefabricated, big-box homes like mobile homes that come in one piece with modular home design, which allows for the customization of the structure of the home. FutureHAUS Dubai is an entire prefabricated house that can be broken down into panels, allowing for a home building process so efficient it can be erected in a day. “The house design is a response to the need for a better way to build in the digital age. As the need for smarter, more sustainable, and more affordable housing grows, we find that our efficient factory process will provide an ideal method for making future homes. 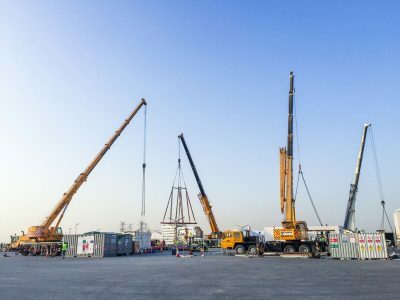 The cartridges are sets of transportable, prefabricated ‘plug and play’ modules that can be arranged on site, making construction simpler, faster, and more efficient,” said Joe Wheeler, architecture professor and co-director of the Center for Design Research in the School of Architecture + Design and lead faculty of FutureHAUS Dubai. In addition to the architectural feats, FutureHAUS Dubai utilizes cutting-edge engineering to achieve its sustainability goals. 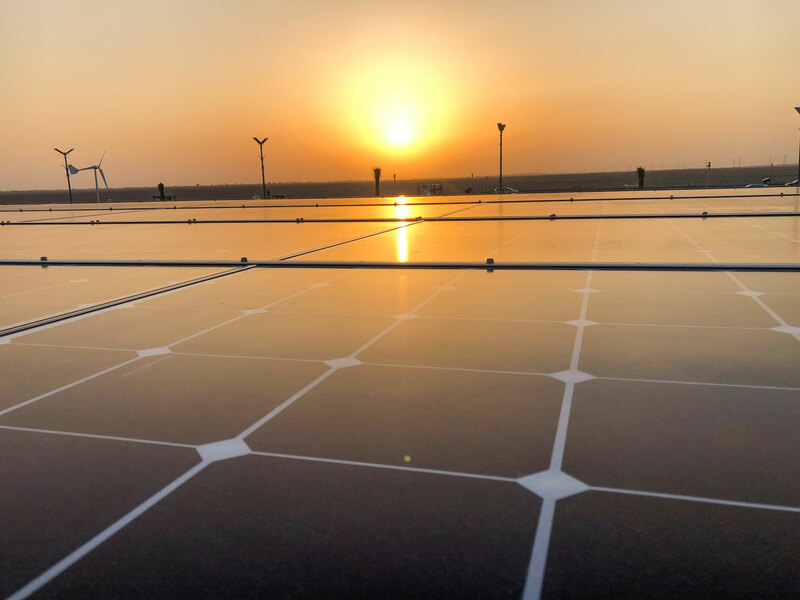 The Center for Power Electronics Systems (CPES) has been heavily involved in FutureHAUS Dubai by designing its electronic energy system and an algorithm that guarantees the home dominantly operates with a net-positive energy balance. 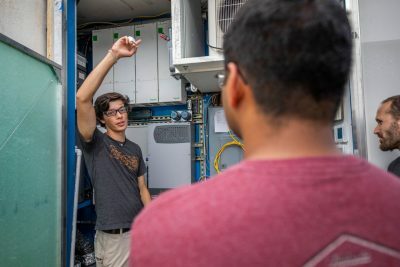 CPES at Virginia Tech is considered to be among the top power electronics research centers in the world — a reputation it earned thanks to its characteristic hands-on approach for the development of advanced power electronics. Although this is not the first time two groups have worked together, collaboration on FutureHAUS Dubai cemented a long-term relationship between CPES and the School of Architecture + Design, enabling future interdisciplinary opportunities that span across numerous other research groups at Virginia Tech. This collaboration was initiated as one of the pilot transdisciplinary activities within the Virginia Tech Electronic Energy Systems Initiative, which focuses on the development of smart and human-centered infrastructure that will assure an enjoyable, affordable, safe, and sustainable living environment for every human being. 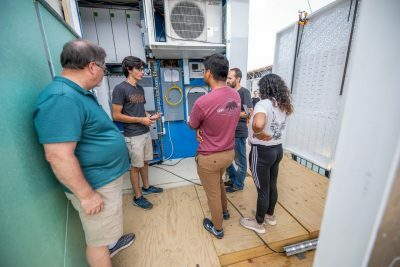 The group of electrical and computer engineers from the College of Engineering is behind the development of the electrical backbone of the home and made a significant contribution to it with finding the most efficient and effective solar panels and smart technology to ensure the home operates sustainably. Meanwhile, members from computer science assisted with incorporating the smart technology into the home. Mechanical engineering students and faculty were involved in the fabrication and manufacturing of the home, including a project to 3D print a bathroom sink led by Christopher Williams, associate professor and John R. Jones III Faculty Fellow of mechanical engineering and director of the Virginia Tech Design, Research, and Education for Additive Manufacturing Systems Laboratory, along with Brook Kennedy, associate professor in the School of Architecture + Design. Led by Grado Department of Industrial and Systems Engineering department head Eileen M. Van Aken and director of the Center for High Performance Manufacturing Matt Earnest, two teams of senior industrial and systems engineering students planned the logistics of the competition as part of their capstone course projects, helping plan the house’s assembly and transportation, assisting with cartridge construction, and identifying hazards. Departmental faculty members Gregory Purdy, Joseph Gabbard, Ken Harmon, and Natalie Cherbaka all served as faculty advisers to the student teams spanning two academic years. 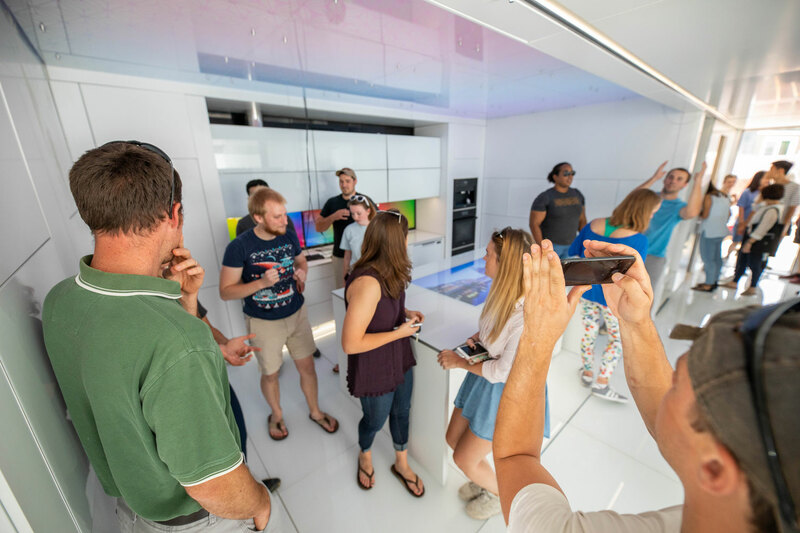 A researcher from the College of Liberal Arts and Human Sciences rounded out the efforts by sharing insight on how human inhabitants will interact with the home’s state-of-the-art technology. Megan Dolbin-MacNab, an associate professor in the Virginia Tech Department of Human Development and Family Science, brought her expertise on intergenerational family relationships, with funding provided by the Institute for Society, Culture, and Environment and the Institute for Creativity, Arts, and Technology. Her expertise helped ensure the home can accommodate its inhabitants in all stages of life, which profoundly influenced the team’s design decisions. “FutureHAUS highlights how technology can be leveraged to support the needs of individuals, couples, and families across the lifespan. For example, elements of FutureHAUS can help older adults stay in their homes longer, support parents and family caregivers, and facilitate healthy relationships. It’s been rewarding to partner with the FutureHAUS team to explore ways that homes can enhance the lives of their inhabitants,” Dolbin-MacNab said. These collaborations build on nearly two decades of faculty-student research in solar home design, modular construction, and smart, human-centered home technology at Virginia Tech. 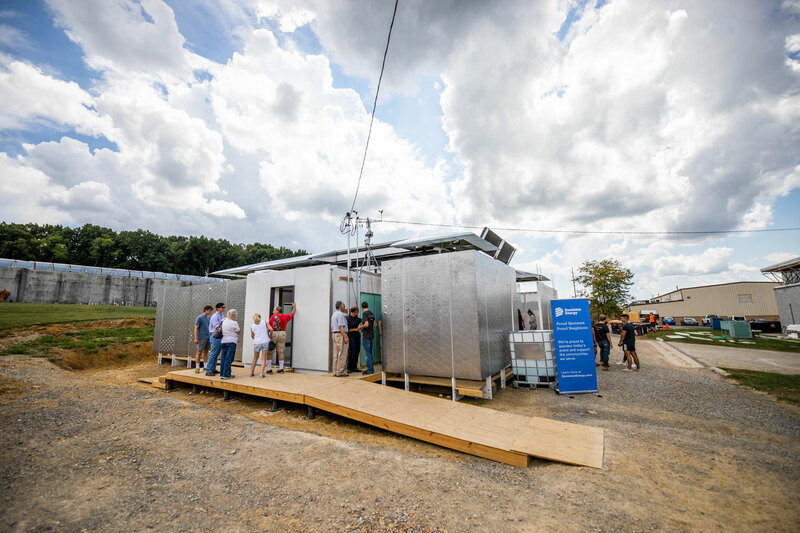 Under the direction of Wheeler, a previous iteration of the team won the 2010 Solar Decathlon Europe with a home known as the LumenHAUS. In the Solar Decathlon Middle East, the team hopes to demonstrate the power of research and the importance of collaboration. They also hope that FutureHAUS Dubai serves as a model of design, efficiency, and affordability for Dubai and for future homes worldwide. For the team, the Solar Decathlon Middle East is not just about competing; it’s about looking ahead. Written by Erica Corder. Marya Barlow contributed to this story.